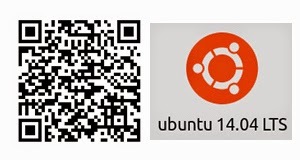 It was when I needed to work on OpenFOAM, the open source CFD package, I thought about installing Ubuntu. Though it is possible to get OpenFOAM installed on Windows, we will have a better control when it's in Ubuntu. 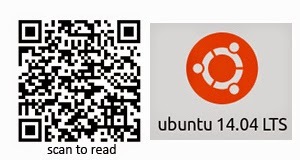 One thing I got to tell you when I am using Ubuntu, you will fall in love with it soon. You will feel it is yours. As a prerequisite, I emptied one of my partition (not logical drive) other than the partition of Windows. All the files and folders were moved safely and made a backup. I decided to boot from USB for installing ubuntu. With the help of Power Iso, I made the USB drive a bootable disk. The destination is an ASUS X53S, Intel core i5,with 6GB of ram. But when I was trying to set the boot priority in bios to the USB, it was not seen there. But I discovered that, at the time of booting when the ASUS logo is displayed, keep pressing the ESC (escape) key. It will then ask to choose the boot location, including the USB drive. Upon choosing to boot from USB, it will start installing. Just follow the on screen instructions. Foot note : To make the USB back to a normal USB, using the Power Iso, write in some normal iso files (in the same way you created the bootable USB). Now you can format like the normal procedure. Because sometimes a normal formating process will not take it back to the normal functioning.